The Montecristo OPEN Eagle is a mild to medium yet rich cigar, of Geniales format, of 54 ring gauge, 5.9” (150mm) long and comes in a box of 15 tubes. As all cigars from the OPEN series, this stogie is targeting cigar enthusiasts that enjoy smoking while doing an outdoor activity, be it for golfing, sailing or anything else. It is a great morning cigar as it is mild with yet typical Cuban taste of wood, spices and cream. The Montecristo OPEN Eagle is a premium Cuban cigar, super Robusto size. 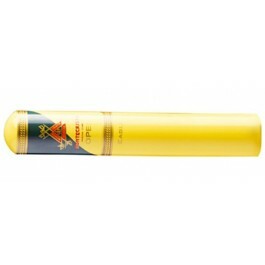 •	The big ring gauge allows a fresh and smooth smoke and reveals light woody and spicy aromas. The Montecristo OPEN Eagle reflects the need for milder Habanos among modern cigar aficionados. This oversized robusto has a very nice silky wrapper with a lighter tone, rolled in a good quality. Perfectly applied triple cap. It has a clear dark chocolate smell before lighting up. The draw and the smoke are perfect. The Eagle burns aside in the beginning, and it doesn't rush to correct itself. The ash as a bit loose but it has a nice texture. A cigar devised for outdoor smoking. The bigger ring diameter allows for a slow and long smoke. It is light bodied in the beginning, with a taste of earth and wood, with hints of spice. The cigar turns to medium body while loading the palate with nutty notes and a hint of grass. The flavors are not too complex, with the earthy flavor being more intense. The tones of creamy coffee and caramel appear. Spice, wood, cocoa and fruits, all well balanced, deliver full and balanced creamy flavors. In summary, dominated by light woodiness and never aggressive, these cigars are the ideal companion cigars to be enjoyed whenever and wherever you wish.